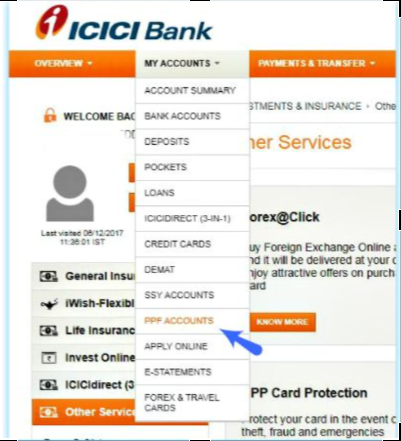 ICICI PPF Account - How to open PPF Account in ICICI Bank Online? Public Provident Fund (PPF) is a popular long term investment option scheme. It is backed by the Government of India and also offers attractive interest rate and returns with safety. These returns are fully exempted from Tax under Section 80C Of The Income Tax Act. Investors can look at saving tax in the range of Rs. 500 to maximum Rs. 1,50,000 in one financial year and can get the facilities such as loan, withdrawal and extension of account. PPF is a good alternative self-employed people or for those who are from unorganized sectors since EPF/GPF is not available for them. Usually PPF account can be easily opened in a designated post office or a bank branch. However if you are an ICICI Bank customer, opening a PPF account is an extra easy task that can be completed in a few minutes without any hassle. ICICI customers can now open a PPF account online anytime, 24X7. ICICI Bank has announced the launch of a digital service that enables customers to open a Public Provident Fund (PPF) account instantly and in a completely online and paperless manner. An ICICI Bank customer has the option of opening an PPF account conveniently anytime, anywhere using the bank’s digital channels of internet and mobile banking/Mobile APP. As per ICICI Bank’s claim it is the first bank in India to offer instant Public Provident Fund (PPF) account facility. You should be a Savings Bank account customer of ICICI Bank. You should have net-banking/Mobile banking enabled for your account. Your mobile number which is linked to your Aadhaar should be in active status, to receive OTP (one time password) which is used to e-sign/e-authorize opening of PPF account instantly. Visit ICICI Bank portal and login with your credentials. Click on ‘My Accounts’ tab and select ‘PPF Accounts ‘option. Enter relevant details of bank account number from which you would like to contribute to PPF account and PAN number. Provide bank branch details. Your personal details need to be verified. These might include address, nomination data and then you need to click on ‘proceed’ button. In the next screen, your Aadhaar number needs to be verified. If your bank account is already linked to Aadhaar, you can click on ‘Generate OTP’, else need to update your Aadhaar online. 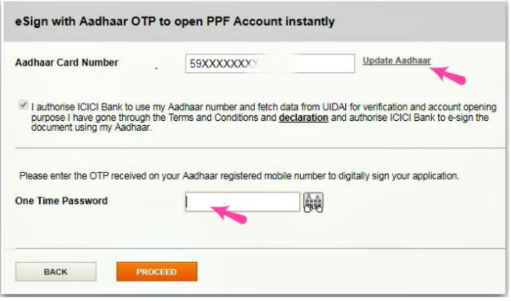 There is also an option of e-sign with Aadhar OTP to open PPF account online instantly. Once you do this your PPF account is instantly created in few seconds and The account number of PPF is displayed instantly to you. It must be noted that the statement of transaction as well as the annual statement of the PPF account is available on internet banking. Minimum deposit is Rs 100 as initial deposit amount. 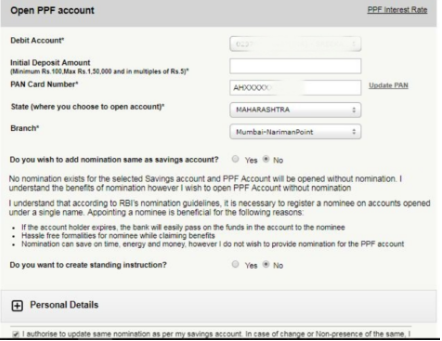 A PPF account for Minors can’t be opened through online mode. You need to visit any of the ICICI Bank branches. NRIs can not open PPF account. You can visit the nearest ICICI Bank branch and give the request for nomination updating /change (if required). 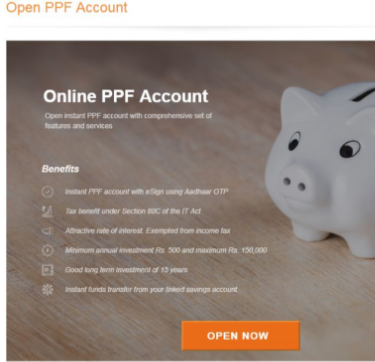 Joint-account holders cannot open PPF account online.